Helen and Eusi Raloso and their children hid under a table in their bathroom during Typhoon Yolanda/Haiyan, which pummeled the Philippines on November 7, 2013. Their home was destroyed, along with the homes of most of their neighbors in Sulangan, Eastern Samar. Build Change partner Cordaid offered a grant to homeowners to rebuild their houses on the condition that they work with Build Change to ensure the house is designed and built using disaster-resistant construction practices. The Raloso family was one of the first recipients of this grant and our technical assistance, so Eusi was able to rebuild his own house. 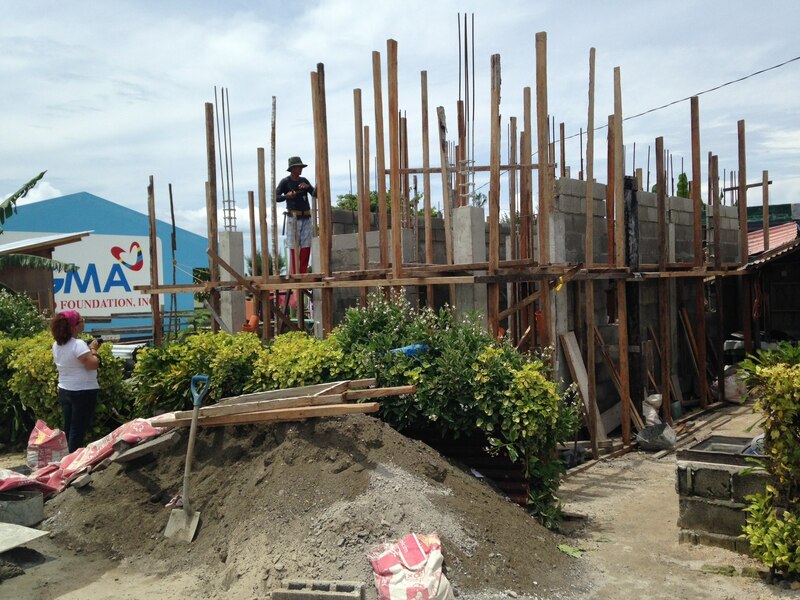 He trained with our engineers and learned to build a house that can survive typhoons. He had worked on masonry houses before. “The techniques I learned from Build Change are better than the ones I was using”, says Eusi. 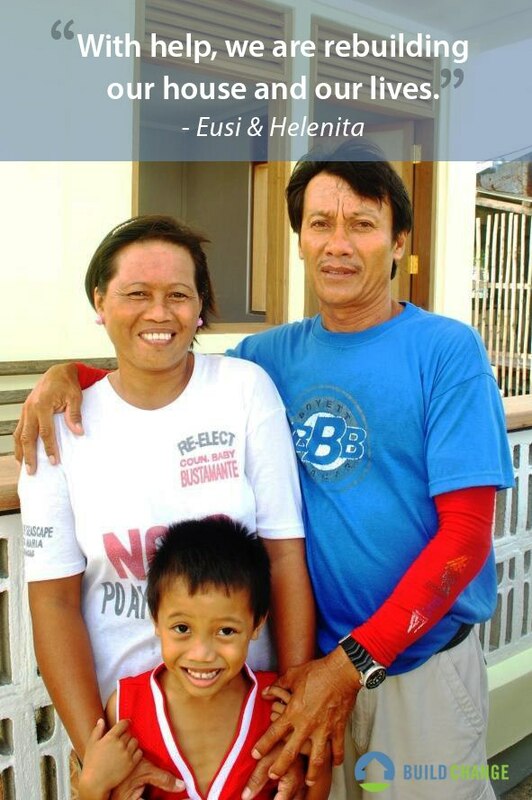 In December 2014, Helen and Eusi sheltered the families of 17 of their neighbors in the safety of their well-constructed, sturdy house during Typhoon Hagupit. The Raloso family finished building their new home in October, 2014. On December 8, 2014, another massive storm, Typhoon Hagupit, struck their town. They invited their neighbors to take shelter in their newly-completed house, which passed our inspection for disaster-resistant standards. There were no casualties in Sulangan from Typhoon Hagupit.